Most of these books are all available in the SE Michigan area through Our Lady of Grace Bookstore in Domino’s Farms (Lobby B). The proprietor, Connie Zander, can be reached at (734) 930-3747 or at olg@rc.net. Just because I recommend a book by a Protestant author, does not imply I agree with everything in the book, only that I have found it helpful for background material, over-all outlines, insights, etc. 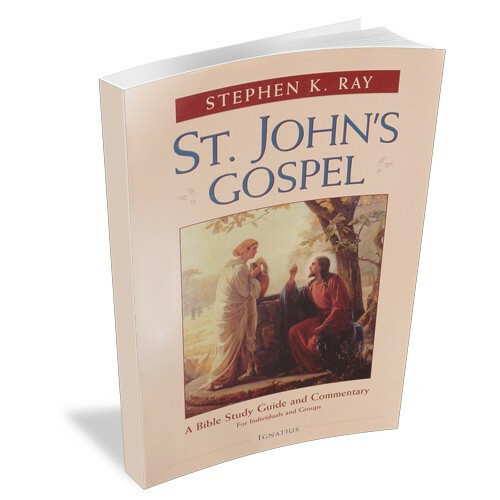 My book St. John’s Gospel: A Bible Study Guide and Commentary has a 13-page bibliography for the study of John’s Gospel. Homilies on the Gospel of St. John by St. Augustine, St. Chrysostom, and other early Fathers are a must and can be found in sets of books on the Fathers in libraries and on the Internet.